DNA testing for genealogy has become quite popular over the last several years. There are three major companies that offer these tests -- FamilyTreeDNA, Ancestry.com, and 23andMe. I have done kits with the first two companies and the results have provided me with a multitude of information -- perhaps too much! The two primary things you will learn from testing are your projected ethnic composition and, of course, your DNA matches to other people in the database. It's not much of a surprise that I'm projected as 97% European. 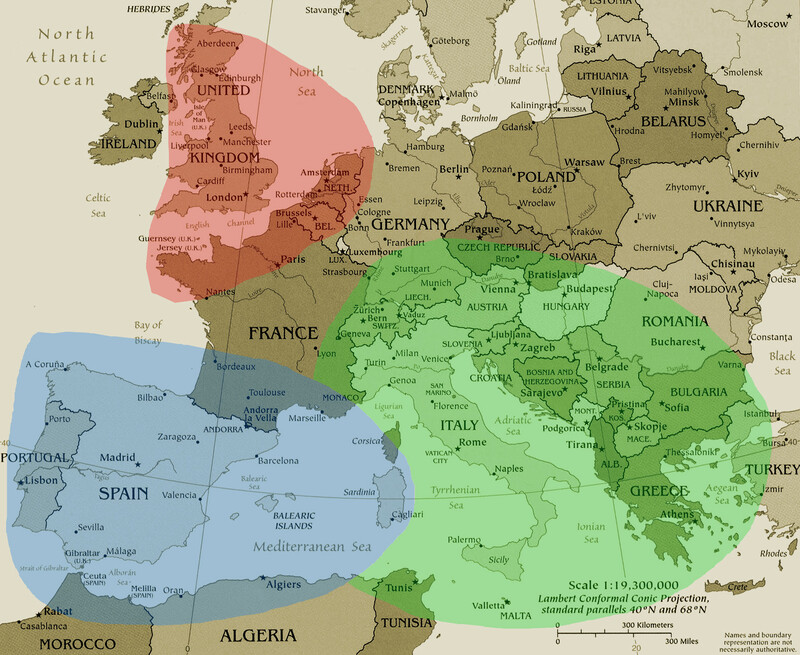 With my primary ancestors being from Sicily, France and Great Britain, the highlighted areas on the map pretty well fall in line with those locations. Keep in mind that your ethnicity estimate goes back hundreds of years. The Spanish influence, for example, is likely related to Sicily as that country played a big part in the history of the island. The challenging part of genealogical DNA is making sense of your matches. Among the hundreds of matches, I have (so far) found cousins on both my maternal and paternal sides (Siragusa, Slate, Amo/Emond, and Boyer). Matches are often several generations back, so finding a common ancestor can be difficult depending on the scope and accuracy of each person's research (not to mention the possibility of past adoptions, etc. ).